Nervous about beginning your adventure at OCCC? Don’t be. Simply follow this simple checklist to get started. Still have questions? Call us at 541-867-8501. You can do this! · Applications takes 6-8 weeks to process. · A student record will be created after assessment. · Complete placement assessment with OCCC team; start by scheduling an appointment at 541-867-8501 or 541-867-8505. 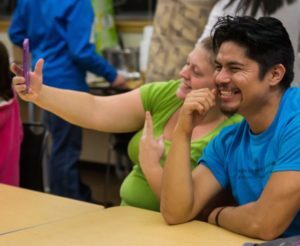 · An introduction to Oregon Coast Community College. · Meet your academic advisors. Appointment required; scheduling your advising appointment online is fast and easy! · Refer to academic advisor’s recommendations. · View class schedule online. · Register online at MyOCCC. · Disability Services offers accommodations and support. · Contact Student Services for an appointment, at 541-867-8501. · Books are available one week before classes begin.